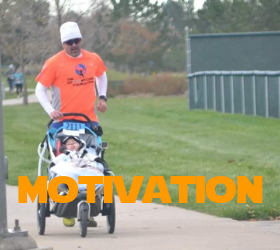 Athletes helping families with physical challenges Thrive. "We all have challenges, some are visible some are not. 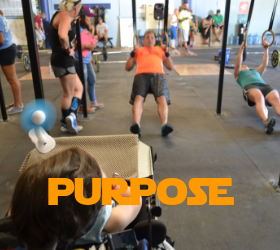 By challenging ourselves physically, we can help the ones physically challenged"
When I changed my life in 2003 that I quit smoking lost 100 pounds and became a professional athlete, I found my purpose. In 2014 I wanted to do something with a higher purpose I did not know what or why. For that season I added to my uniform “Be the change you want to see in the world”, however the universe already had something planned for me. In the end of the 2015 season we got pregnant. Because my wife is a great triathlete, with a state champion title in Brazil and me racing professionally, and our enormous dedication, people were expecting our son to be a great athlete, and guess what? HE IS. To be an athlete is not only this definition (here). To be an athlete, in my view is someone always pushing the limits to overcome a challenge, always learning, and making the best of every situation, because Life is just like an endurance race. You go thru ups and downs, you feel really good sometimes and other times tired, but there is no surrender, you have to make the best of every situation and be constantly optimizing yourself. 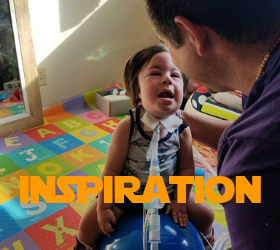 Luke was born with a rare muscle condition called nemaline myopathy, and in average Luke has 3 therapies, plus the ones that we do with him, and I have never seeing someone work so hard with a smile in the face like Luke does. That being said, people were right, our son is a super athlete. We spent 84 days in the NICU and 40 days in the PICU. During this period I saw a lot of support for moms, and not a lot for dads, and I was lost and for a while I thought, why 2 athletes have a kid with a rare muscle condition. I remember thinking how ironic all this was, and not knowing what to do to help him. 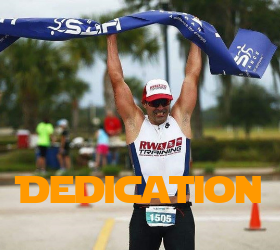 At the same time I saw a lot of support from the triathlon and running community. People that not even knew us were cheering for us using the hashtag #goLukeWygand or #goLuke. We made a 5 K team in our most famous local 5 K and the #goLukeWygand team was the biggest team of the race. I started to realized, why not me? There is a lot I can do for Luke and others, I mean a lot more. I realized I could help not only Luke get stronger (as his coach), but I could also help other families. 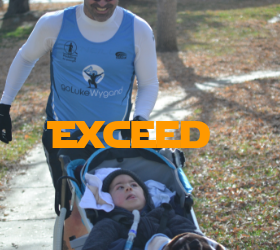 Months after Luke was born, I decided to retire from racing professionally and transform my coaching business into a non profit organization, by sharing the LOVE, raising awareness, advocating for inclusion and leaving the world better than how I founded. 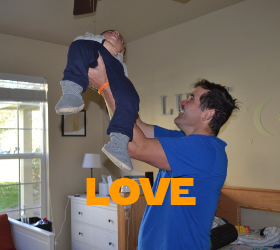 That is when I became " A Dad on a mission."